Does anyone else get anxiety when their children bring home more stuffed animals? Hopefully it’s not just me. Nothing overwhelms me more than the ridiculous amount of stuffed animals my children own (well, maybe other than legos). 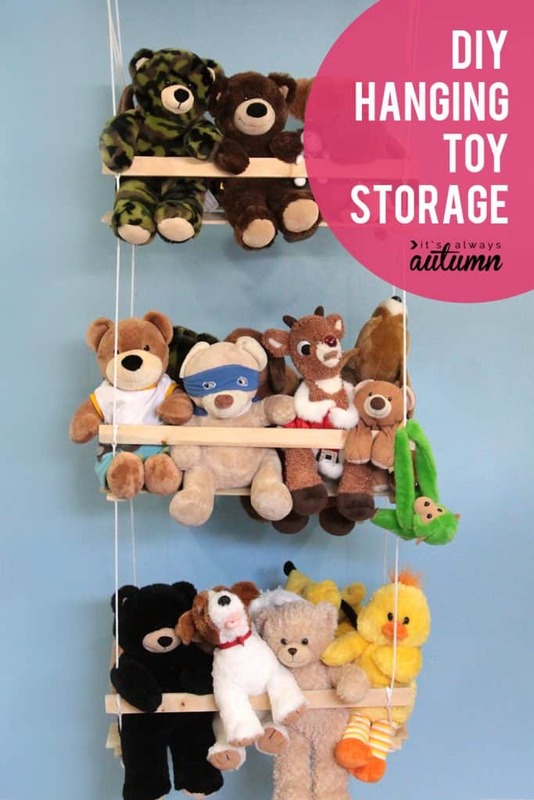 Here are 9 clever stuffed animal storage solutions! 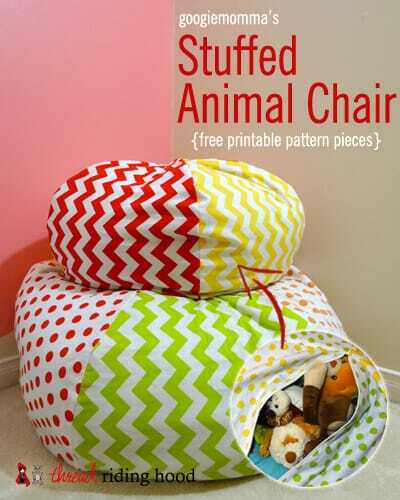 I’m obsessed with these stuffed animal bean bag chairs! This is actually the solution that I use for all the stuffed animals in my home. This is a tutorial if you’re up for a sewing project. I actually purchased this one from Amazon and I LOVE it. It holds a ton of stuffed animals and my daughter loves sitting on it! These animal “zoo” projects I’ve seen all over Pinterest are adorable. This one takes advantage of the room’s corner, which saves a bit of space as well. 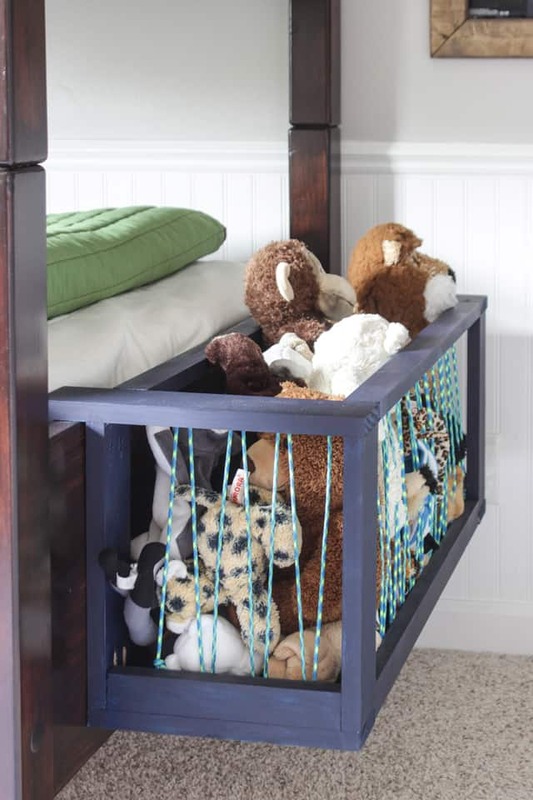 This is such a great idea and will hold a ton of stuffed animals! This idea is so clever! 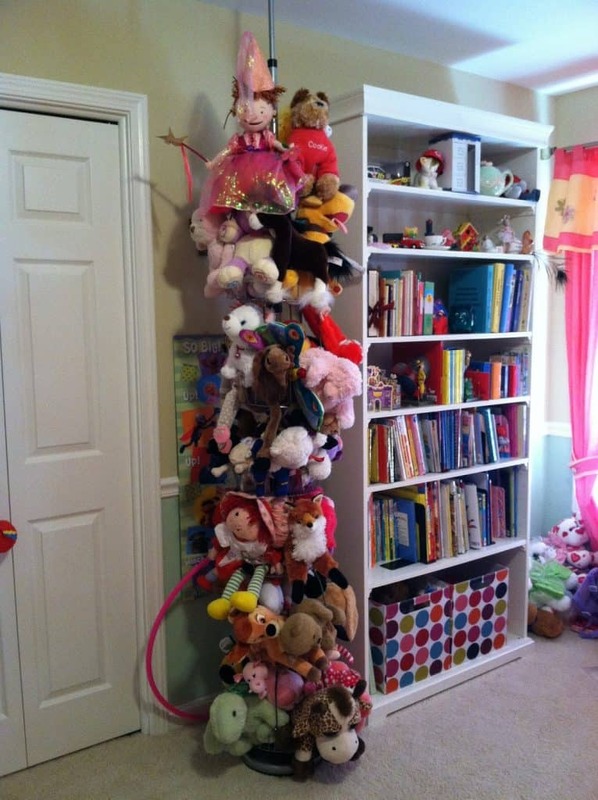 It’s a shoe tree paired with bungee cord, and it looks like it holds a ton of stuffed animals! 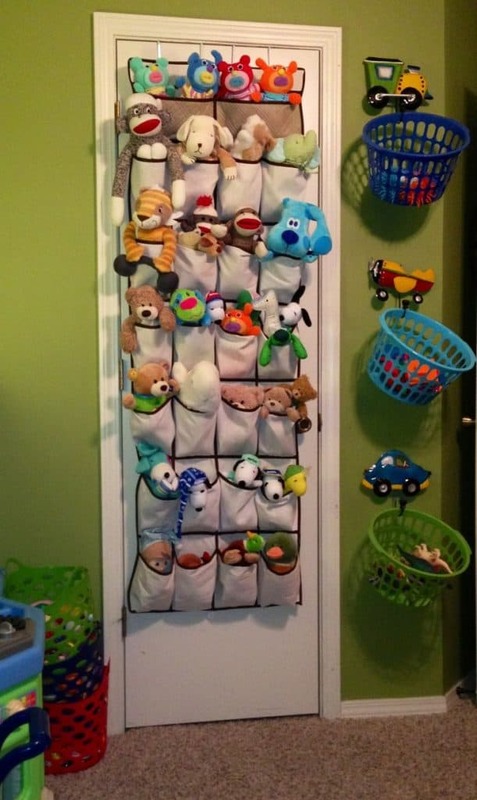 What can’t you do with an over the door shoe organizer? 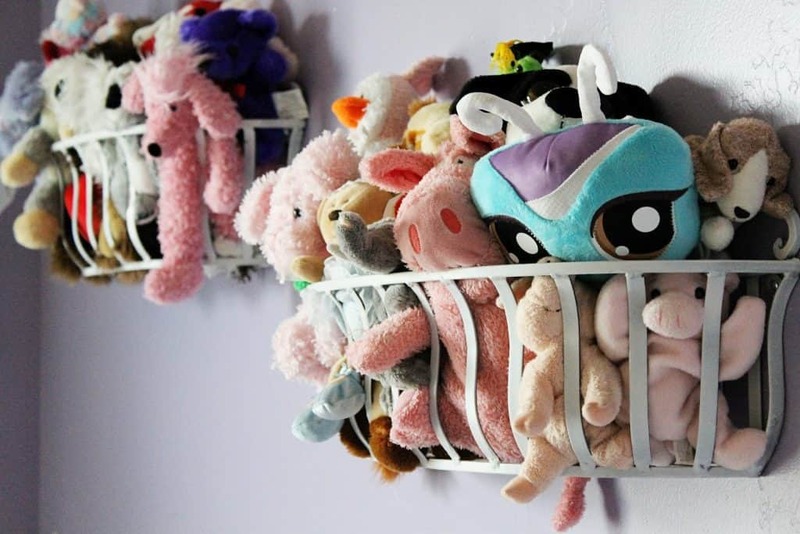 Seriously you can organize so many things with this clever hack, including stuffed animals. This is a cute idea. It’s a little stuffed animal coral that she attached to a bed. I love this whimsy idea from It’s Always Autumn. 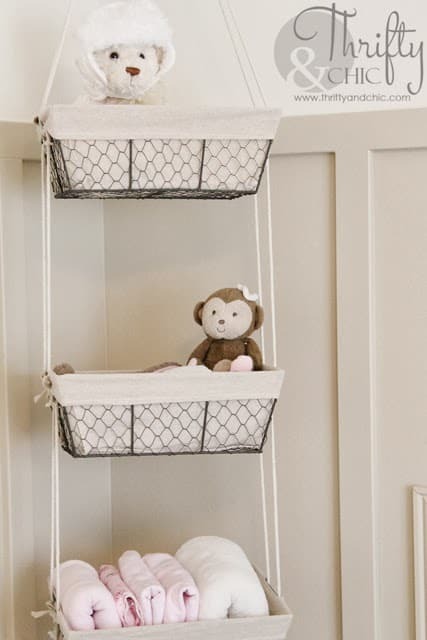 Click over to her blog for the full tutorial on how to make this hanging swing. I love how chic this looks. 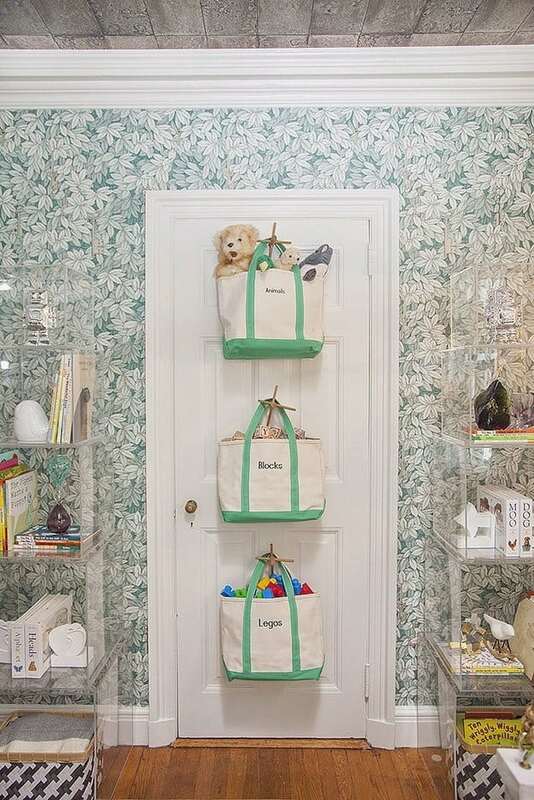 These extra large tote bags are hung behind the door. I love the choice of hangers and the color blends perfectly with the rest of the room. These hanging baskets are adorable! Check out the tutorial over at Thrifty and Chic. I’ve seen wall planters used in a lot of ways for organization hacks and this one is defintely a favorite of mine!